A press release issued today said demand for pre-sale tickets to the first show was so high, a second show had been added to their tour. 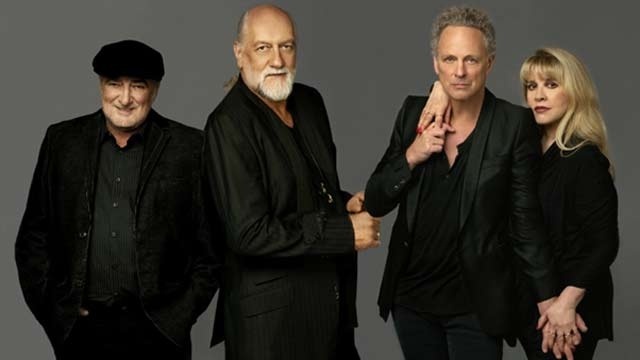 Fleetwood Mac will now perform at Vector Arena on December 6 and 7. "We are thrilled to return to New Zealand where we've always loved performing. Our fans there are phenomenal," said the band in a statement. Hi, Why Puerto Rico was not included in the tour? Fleetwood Mac just came to Puerto Rico one time in the 90's, but only with Mick Fleetwood and John McVie. The real band never has come to Puerto Rico. ^ Can you give more info on this PR date with just Mick & John. It escapes my memory at the moment. Was it a "vacation" or an actual appearance? Time band? Curious. Yes, Fleetwood Mac came to Puerto Rico to promote "Time" Album with Mick Fleetwood, Billy Burnette, John McVie, Bekka Bramlet, Dave Mason and a another keyboardist, (I don't remember the name, but was not Christine McVie) Was a male keyboardist. Maybe you can remember now. It will be amazing if a Fleetwood Mac concert could be included. That's will be the first time with the real band (without Christine, but almost complete band), Really would be fabulous. Sorry about my English. Thanks. That was between 1995 and 1996. There was two shows, maybe 2,000 or 3,000 people in each show, because the place provide just that quantity of people. That was without the complete and real band. Surely with Stevie and Lindsey the support will be much strong, maybe 8,000 or 10,000 people. We have the "Choliseum" with space to 10,000 people or more, with just one show. Sorry about my English. There's news to Puerto Rico or not? Why Fleetwood Mac not come to Puerto Rico? Puerto Rico is a territory of USA but is forgotten by many bands.